More IT admins are moving to the cloud. Whether it’s AWS, Salesforce, or other solutions, virtually every organization is going to have to deal with the cloud. The challenge is that hybrid networks can be more complex to manage if you don’t have the right tools. The last thing that IT organizations want is two sets of solutions – one for their on-prem, internal network and one for their cloud infrastructure. This is especially true for legacy identity management solutions that don’t handle the cloud well. Alternatively, first-generation IDaaS platforms couldn’t handle on-prem well. However, modern, innovative Identity-as-a-Service platforms are solving the cloud and on-prem identity and access management challenge. 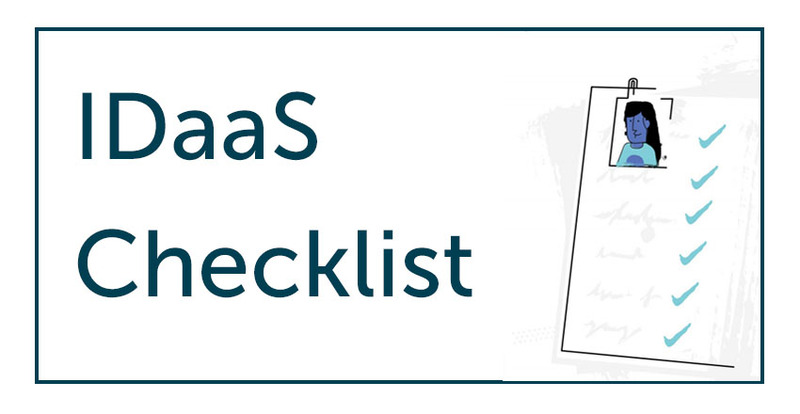 This blog post is an Identity-as-a-Service checklist for IT admins to choose the right platform for their needs. Any modern Identity-as-a-Service solution needs to support multiple providers. Since the world isn’t all homogeneous anymore, IT organizations have started to leverage a number of cloud providers. Those cloud services can include AWS, Google Cloud, G Suite, Office 365, and many more. The challenge with most IDaaS platforms has been their lack of ability to cut across providers. Centralization of user management is a critical result of a cloud identity management solution. And being multi-provider is a key requirement. Windows is no longer the dominant platform for systems. Mac and Linux devices are a substantial part of the market. In fact, only one in five devices is now Windows. The challenge for IT admins is to find an Identity-as-a-Service solution that can manage a fleet of cross-platform systems – Windows, Mac, and Linux. On-prem directory services have historically focused on Windows. Web SSO IDaaS platforms don’t manage the system, just web applications. Modern Identity-as-a-Service serves whatever platforms an organization has. A decade or two ago, the IT landscape was a lot simpler. Active Directory was the main identity management solution of choice, and the two major protocols that it supported were LDAP and Kerberos. As a result, most of the IT resources at that time were based on LDAP and Kerberos. As the cloud became a major factor, new authentication protocols emerged. These included SAML, OAuth, OpenID, and others. RADIUS and SSH became more important as IT organizations looked to centralize their entire identity management approach. The workforce today doesn’t go to one office where all of the IT resources they need to access are located. That may have worked fifteen years ago, but innovations have dramatically changed how organizations operate. Key IT resources are no longer merely hosted on-prem or in company data centers. Applications are delivered as cloud services. The workforce is more mobile than ever. Not only are employees traveling more, but also many employees and contractors may live and work far from any physical office. The right Identity-as-a-Service platform will take all of those into account and let IT admins manage users and resources regardless of location. 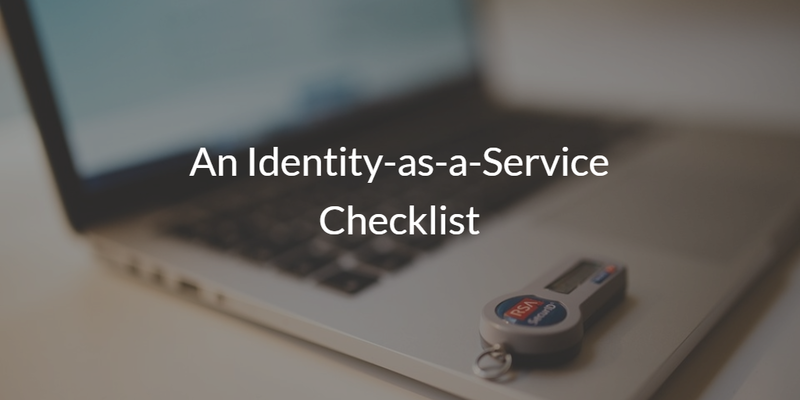 Finding the best Identity-as-a-Service platform doesn’t need to be difficult, but it does require IT admins creating a checklist of the things that are important to them. There are always a number of features that IT organizations can consider, but conceptually it is far more important to look at the strategic items. Is your solution going to be able to evolve with your IT infrastructure? Will it be secure and leverage the most current platforms, providers, and protocols? If you would like to learn more about how to create your Identity-as-a-Service checklist of requirements, drop us a note. Also, sign up for a free account and check out JumpCloud’s IDaaS for yourself. Your first 10 users are free forever.